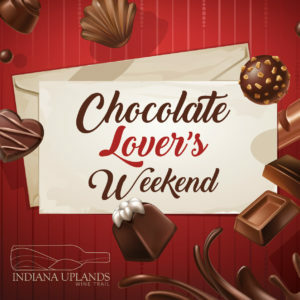 When you're planning to travel the Indiana Uplands Wine Trail (or any wine trail for that matter) it's best to go in with a solid strategy: map out the locations of the wineries, estimate how much time you expect to spend at each, and set out to explore the towns you'll be visiting along the way. Are you traveling the trail this winter to do some holiday shopping? All nine of the Indiana Uplands Wine Trail Wineries will be OPEN on Black Friday, some with special sales to help you save! 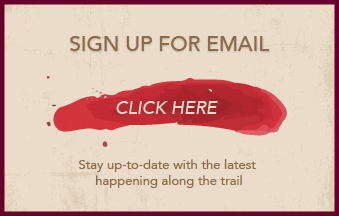 We look forward to seeing you along the trail this holiday season - don't miss out on our Winter Wine Market, too. One of the unique aspects of the Indiana Uplands Wine Trail is that it exists entirely within an American Viticultural Area, or AVA, called the Indiana Uplands. This geographical, wine-growing region spans 4,800 square miles- that's a lot of ground to cover! Within the rolling hills and long, country roads which connect the 9 wineries of the Indiana Uplands Wine Trail, there are many places to stop, delight in local art and food, and retreat. Planning your trip along the trail may include a whole host of experiences in addition to tasting the world-class wines that are produced in our Indiana AVA. In an effort to help you make a plan for your trail travels, we have put together some of our recommended places to stop along the way. From the northernmost winery on the trail, Oliver Winery, to the southernmost, Best Vineyards Winery, you'll have over 100 miles to trek and enjoy the ride. Because it's an expansive trail with so much to see along the way, we recommend breaking your travel plans up into two halves: a northern trip and a southern trip. You can spend one weekend experiencing the northern part of the wine trail (Oliver Winery, Owen Valley Winery, Butler Winery, and Brown County Winery) and another entire weekend enjoying the southern part of the wine trail (French Lick Winery, Winzerwald Winery, Huber's Winery, Turtle Run Winery, and Best Vineyards Winery). 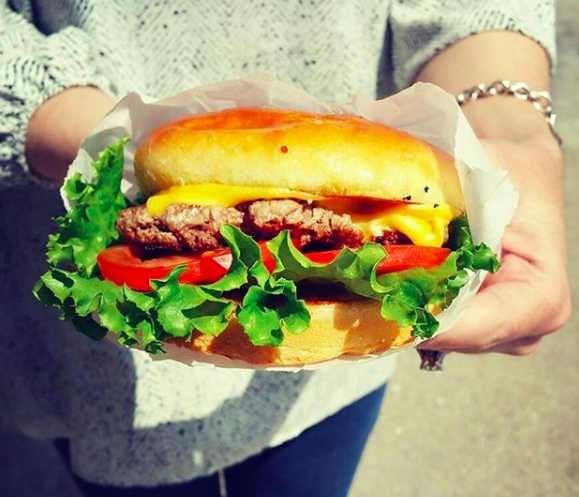 -Indulge in a delicious, handmade steak burger at Chillburger in Clarksville or Floyds Knobs- in the heart of Southern Indiana. The fresh, local ingredients will make you feel good about what you're eating! To make you feel even better, this restaurant has a "meal for a meal" pledge: they donate food to a hungry child for each steak burger sold. Have two! -Explore the variety at The Spread Buffet at the Horseshoe Casino. Eat your way across the world right here in Southern Indiana. While each station has its own assortment and charm, our personal favorite is the "Taste of Kentuckiana" which shows of delicacies of the region. 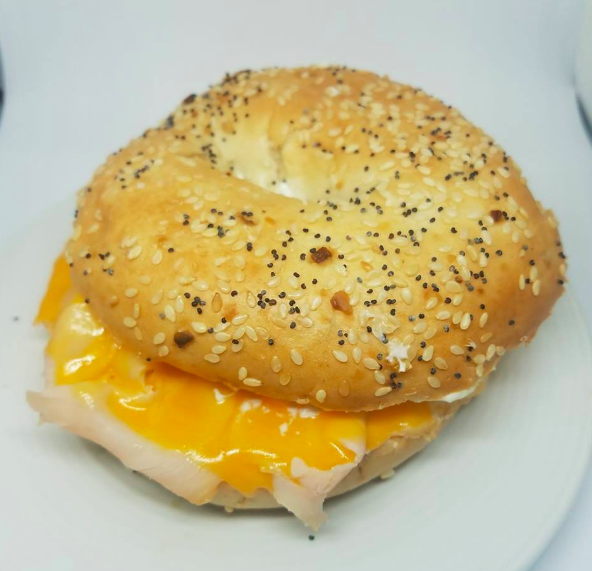 -Snack on a bagel or a bagel sandwich at West Baden Bagel Bistro. There's just something about the chewy, toasted texture of a bagel that makes them so enjoyable. 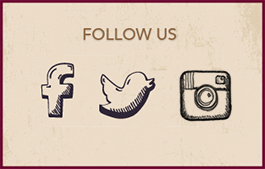 Friendly staff, cozy atmosphere, and special events. -Sit down for a good meal at Bill's on the Hill in Corydon, IN. Nestled in the beautiful Old Capital Golf Club, this restaurant prides itself on their made-from-scratch uniqueness and wholesome food. Ask about Bill's World Famous Hand Breaded Chicken Tenders. -Satisfy your sweet tooth at French Licks Ice Cream Shop. These homemade scoops come in flavors ranging from chocolate to cookie monster and everything in between. They've also got a great coffee and tea selection, plus fun, flavored sodas. Bring the kiddos. -Gawk at the view at The Overlook Restaurant in Leavenworth, IN. This gorgeous restaurant has grown a lot since its humble beginning in 1948. The 20-mile panoramic view of the Ohio River will keep you in your seat as you enjoy delicious food and friendly people all around! 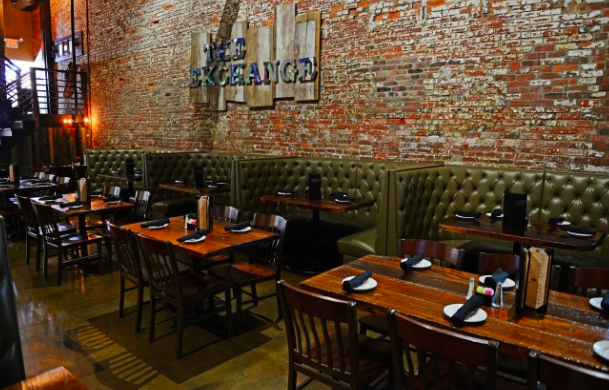 -Sit back and relax at The Exchange Pub + Kitchen in Downtown New Albany. It's hard to say whether they're best known for the food or the cocktails when it's all so good! This upbeat pub carries Starlight Distillery Spirits and is within walking distance of many great boutiques and stores. -Hit up the Downtown Louisville Urban Bourbon Trail. That's right, you can enjoy a wine trail and a bourbon trail at the same time (we call that "best of both worlds")! Several excellent tour choices (Angel’s Envy, Old Forrester, Evan Williams, etc) just across the river. 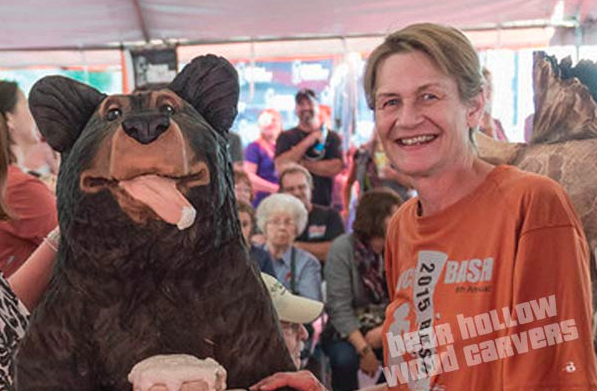 -Peruse the extraordinary artwork of Bear Hollow Wood Carvers. Each piece is made by hand with chainsaws! This group of artists also travels with their work, bringing the show of their craft as entertainment. Their shop is just across the street from the French Lick Resort. -Delight in the "new again" items at the French Lick Antique Gallery. Let the nostalgia overwhelm you as you are reminded of the good old days with trinkets, decor, and furnishings. -Rest and feel at home at the Kintner House Inn Bed & Breakfast. Located in Corydon, IN, this charming home is perfect for romantic getaways and family trips alike. The Inn is listed on the national register of historical places for the Kintner Family's long history which predates the Inn's establishment in 1873. There are 15 unique rooms and plenty of quiet reading spots to enjoy. -Become fascinated in the splendor of West Baden Springs Hotel. This is an obvious choice along the trail for travelers who are willing to spend a little on the higher end- and it's worth it! 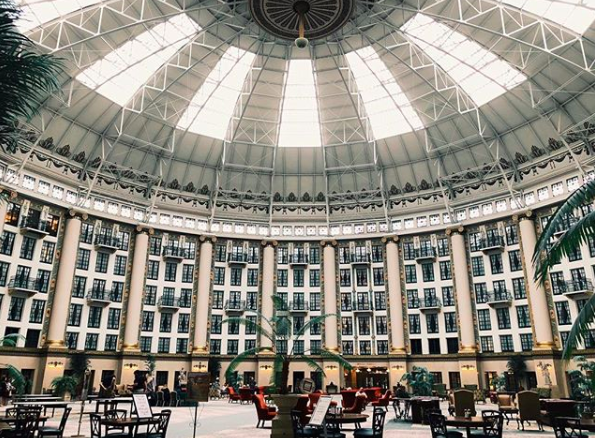 Frequently referred to as "The Eighth Wonder of the World," this dome-shaped hotel has been passed through many hands throughout its history beginning in 1855. Luxury awaits you at every corner...or should we say, "curve." -Step back in time at the Starlight Country Cabin. This historic log home is just 3 miles down the road from Huber's and will give you a place to catch your breath! The scopic front porch, quaint fishing lake, and steamy hot tub will make you want to stay an extra night. -Support the local arts and treat yourself to a show at Hayswood Theatre in Corydon, IN. Formed in 1969 by the Women's Literary Club, this community theater produces shows such as "Mary Poppins," "Sweeney Todd," and "Lend me a Tenor." Many shows sell out, so purchase your tickets in advance. -Rev your engine at French Lick West Baden Indoor Karting. If you're planning to bring the kids, they will appreciate this stop, too! Complete with a variety of tracks and an arcade. -Descend into the underground at Squire Boone Caverns. 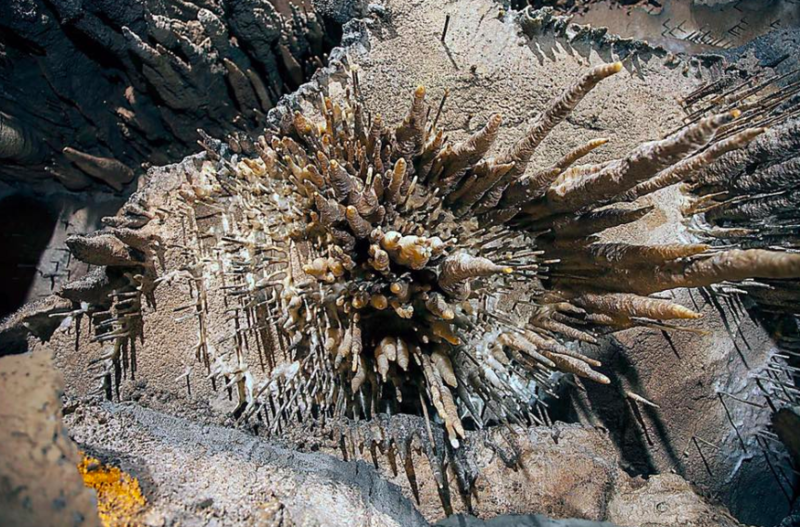 Underneath our limestone bedrock sits stalactites, stalagmites, and columns formed over thousands of years. You can take tours of the caves and caverns or go on a zip-line adventure through the treetops. -Encounter an animal friend at Wilstem Ranch Animal Encounters just outside of Hoosier National Forest. This is a gem of Southern Indiana- meet Elephants, Giraffes, even Grizzlies! Reservations highly suggested. Don't forget, this is the second half of our "How to Travel the Trail" series- you can read part one with recommendations for the northern half of the trail here. 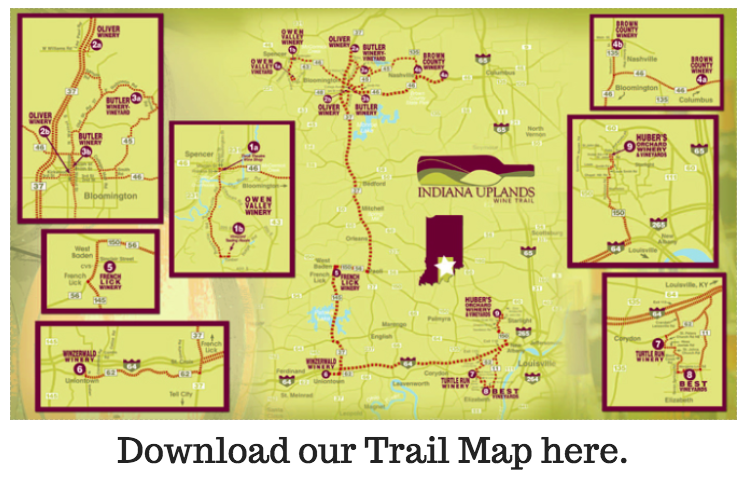 Traveling the Indiana Uplands Wine Trail is your adventure! We hope these suggestions help you make your journey through Indiana's Wine Country worth not only remembering but worth recreating frequently. 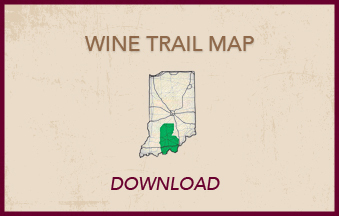 Travel the trail for the best Indiana wine experiences and so much more! See you soon!